To BOOK NOW select your start date from the calendar below. All bookings are Saturday to Saturday. 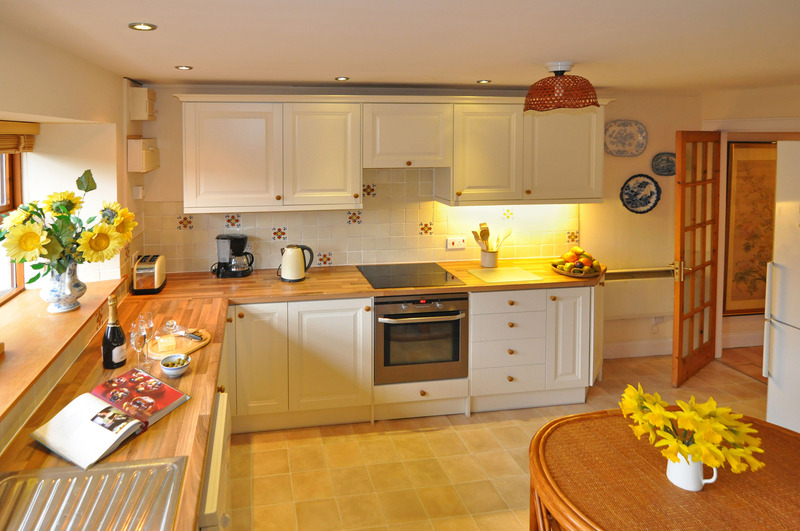 The Old Bakery is a comfortable spacious 3 bedroom stone-built cottage, sympathetically converted from a former 300 year old bakehouse to provide a characterful, homely, well equipped self-catering property. 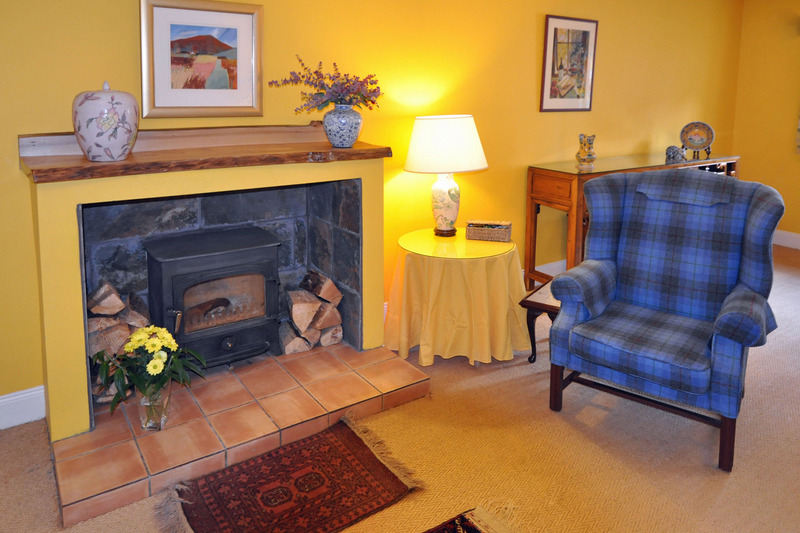 Our cottage sits quietly off the Main Street near the centre of the village of Killin. 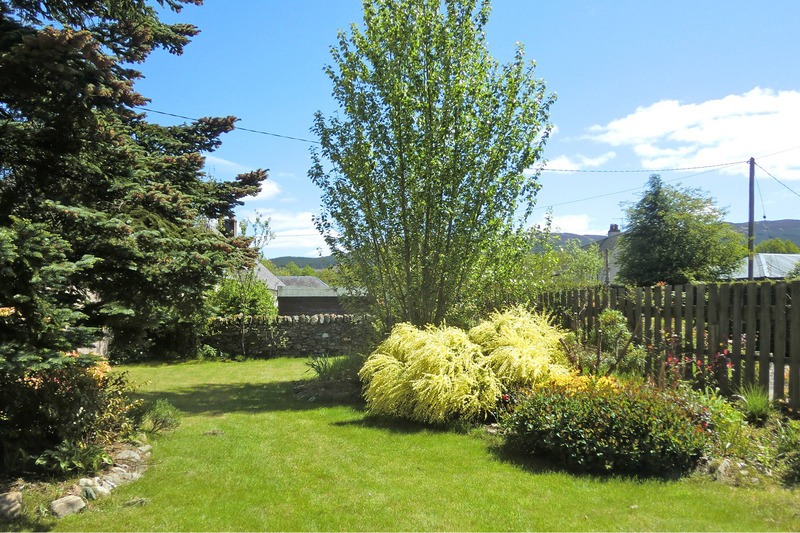 The property features a private fully enclosed sun-trap garden with trees and shrubs and is within easy walking distance of all the facilities of Killin including local restaurants and a supermarket as well as the stunning countryside and loch. 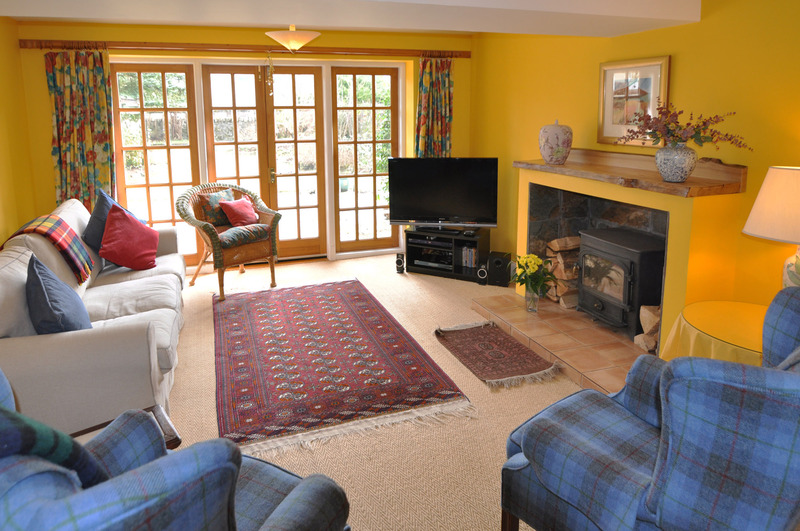 Downstairs the cottage has a spacious living/dining room with French doors opening on to the patio and garden for al fresco dining with outdoor table and chairs. A high chair is also available. 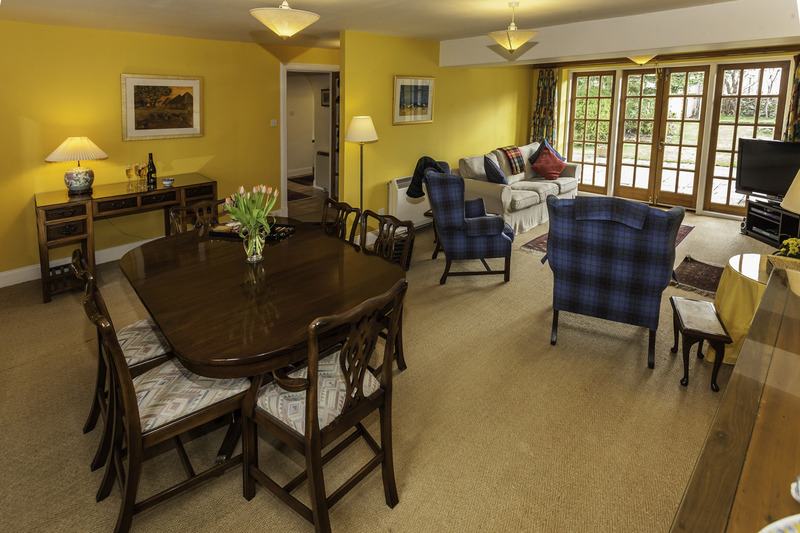 For entertainment, we provide free Wi-Fi internet, board games and books, plus a 40” Sony panel TV, freesat and internet TV and DVD player with a selection of DVDs. Downstairs The Old Bakery also has a well equipped kitchen ideal for self catering, a cosy bedroom with two single beds (with very thick walls formed out of the old oven!) 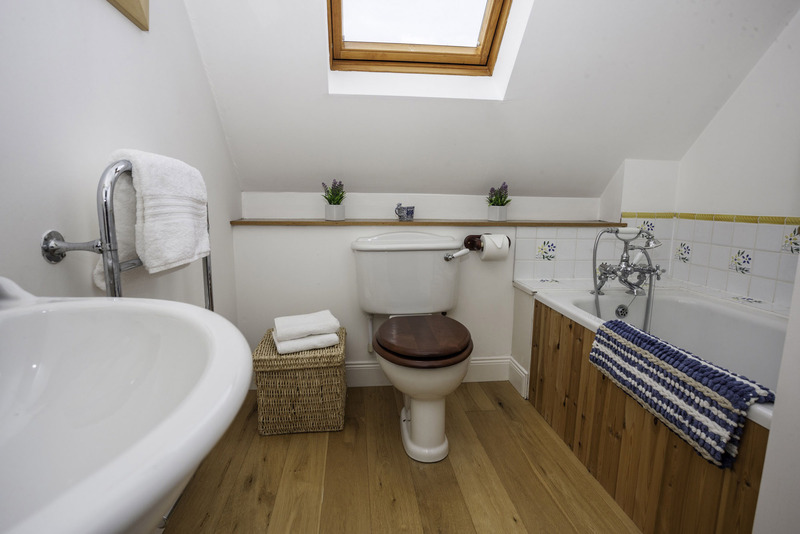 and a toilet/ shower room all on one level. 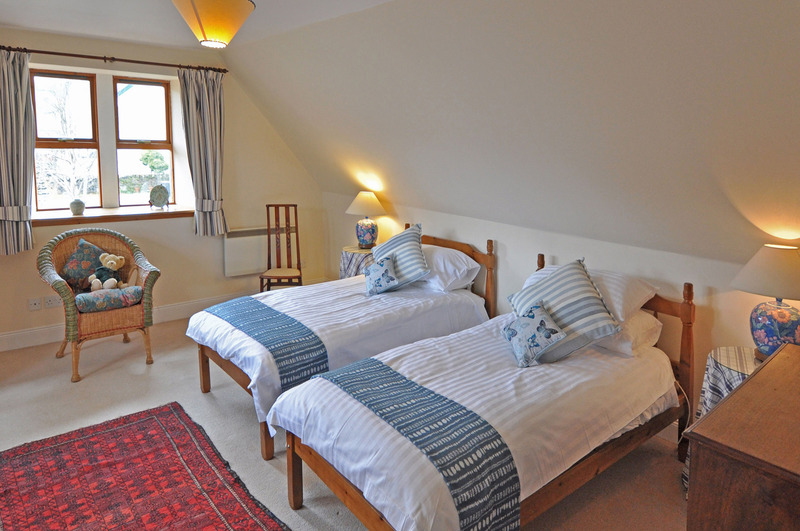 Upstairs, The Old Bakery has two further spacious bedrooms and a traditional family bathroom. 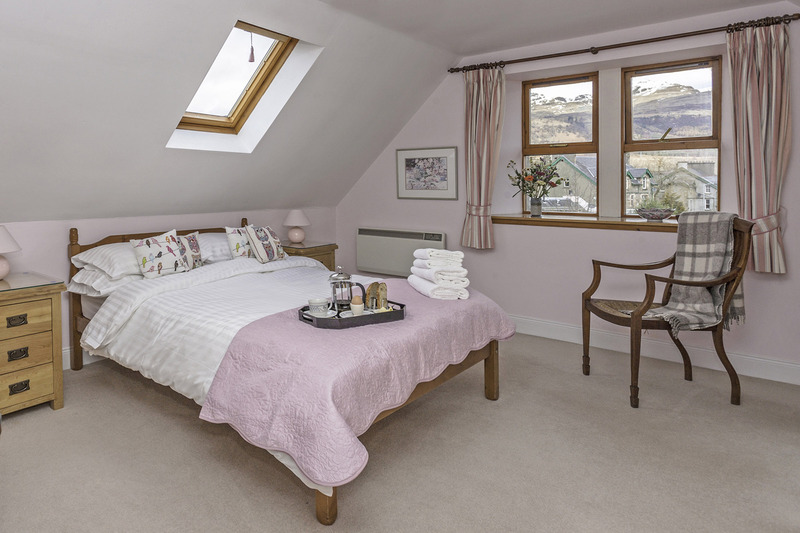 The main bedroom has a double bed with magnificent views of Ben Lawers and the Tarmachan Ridge. 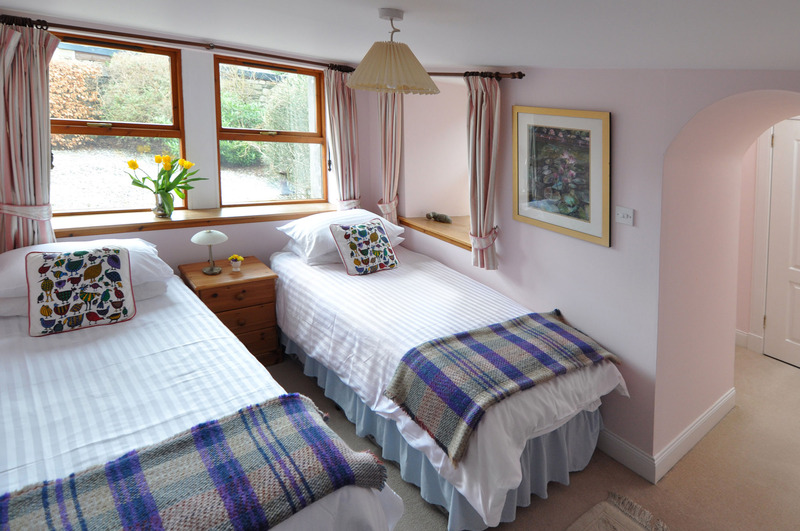 The other has twin beds with views over the garden to the hills beyond. 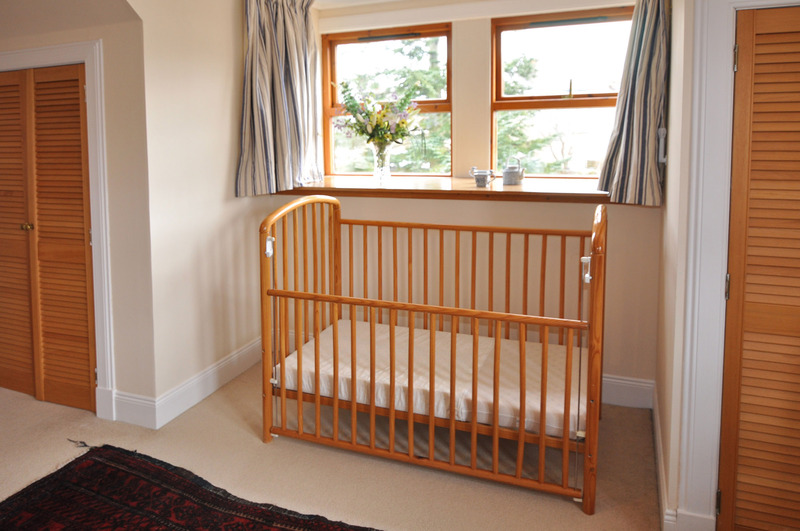 A cot is available on request (bedding not provided). 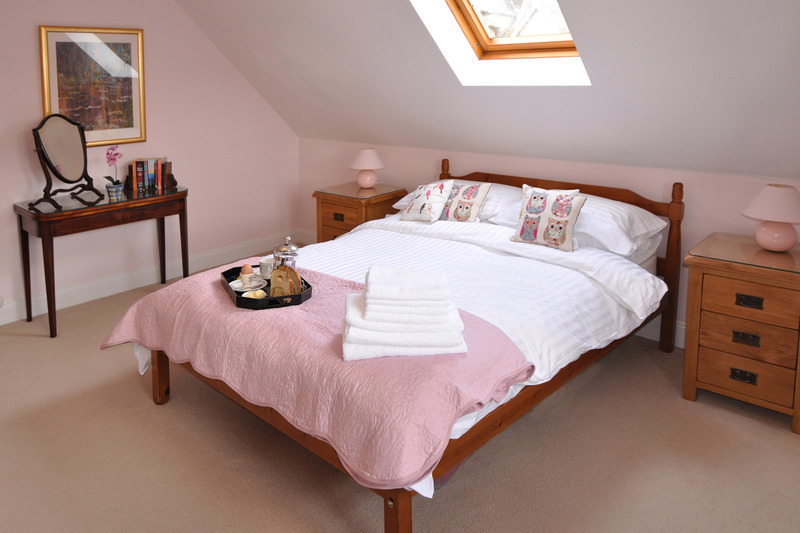 The bedrooms have comfortable beds with luxurious 400 thread count Egyptian cotton sheets. 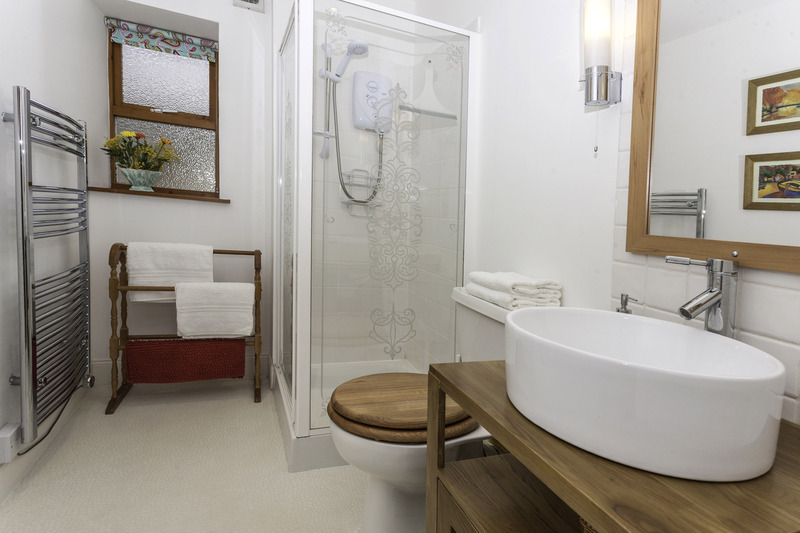 All rooms have electric storage or panel heaters. This is the owner’s home and features original artwork (paintings by the owner’s mother), oriental carpets and antiques. Killin itself is a very friendly and pretty village with period stone villas and cottages lining the Main street (visited by Queen Victoria) and is well served with a Co-op supermarket, several restaurants and pubs, outdoor centre with bike and canoe hire, newsagent, medical centre and pharmacy, gift shops, hairdresser, laundry, library with video rental, ATM facilities and churches. The entrance to Killin features the famous scenic Falls of Dochart (seen on many Scottish calendars), where summer visitors admire the falls whilst relaxing with a cooling drink in hand and children climb over the rocks. 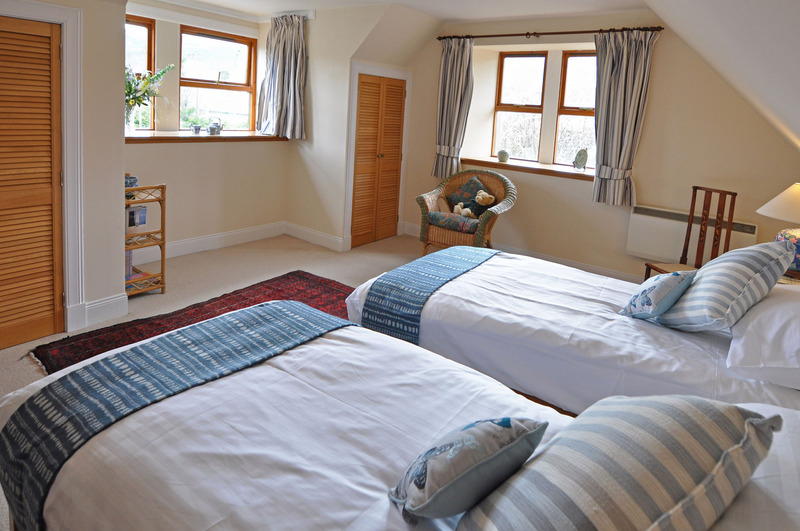 From the cottage, it is a 5 minute walk into the breathtaking scenery of the countryside. 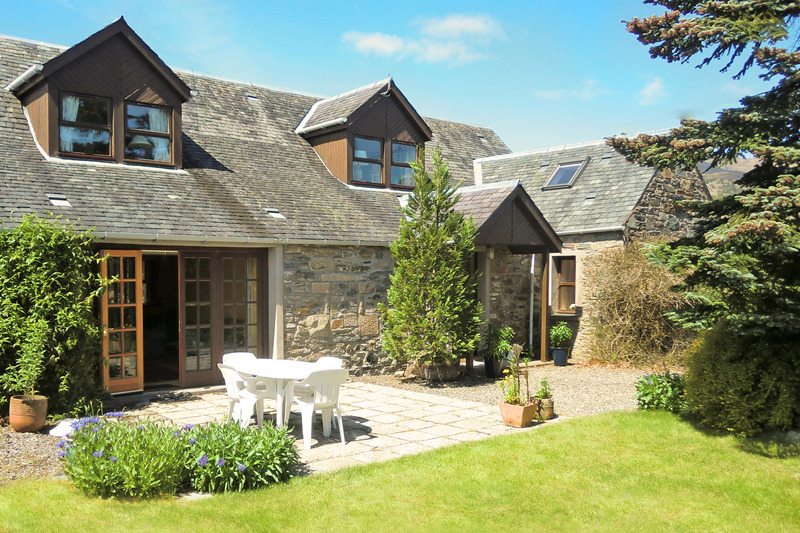 You can take a leisurely stroll along the banks of the Lochay and Dochart Rivers to the head of Loch Tay, an area of outstanding natural beauty, where you can see water birds and perhaps otters, and picnic on the sandy banks of the loch (and perhaps if you are brave, swim). Or you can take a gentle but scenic walk or bike ride along the old railway line (part of the Sustrans bike route). 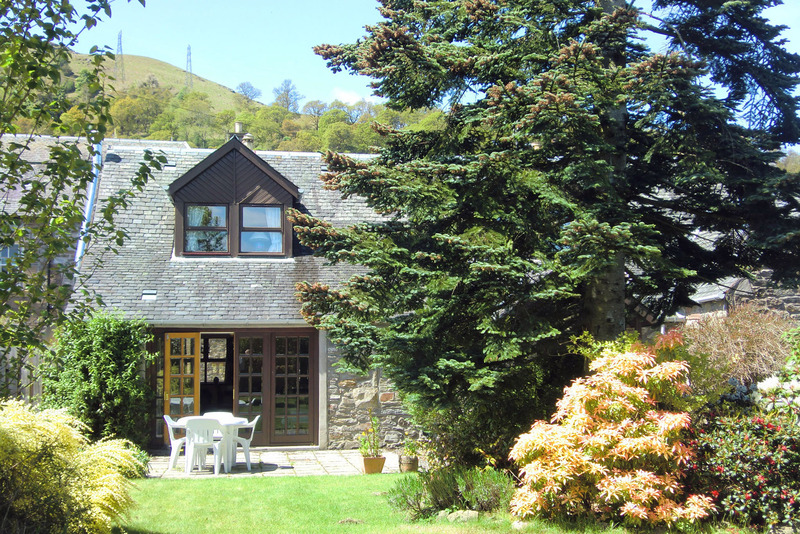 For the more energetic, you can walk for miles in the hills surrounding the cottage or up Ben Lawers or other nearby munros, from where you can breath the pure mountain air and enjoy the views of the loch and mountains. 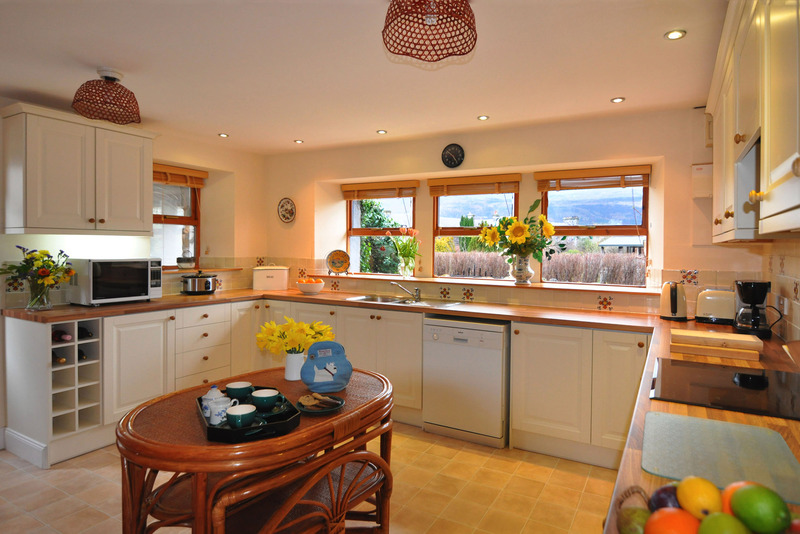 Killin caters for numerous activities including golf at the local Killin course, tennis, bowls, trout and salmon fishing, boat hire and canoe and bicycle hire. In the summer you can enjoy the Killin Highland Games, agricultural show in early August and fun evenings listening to live music in various pubs. 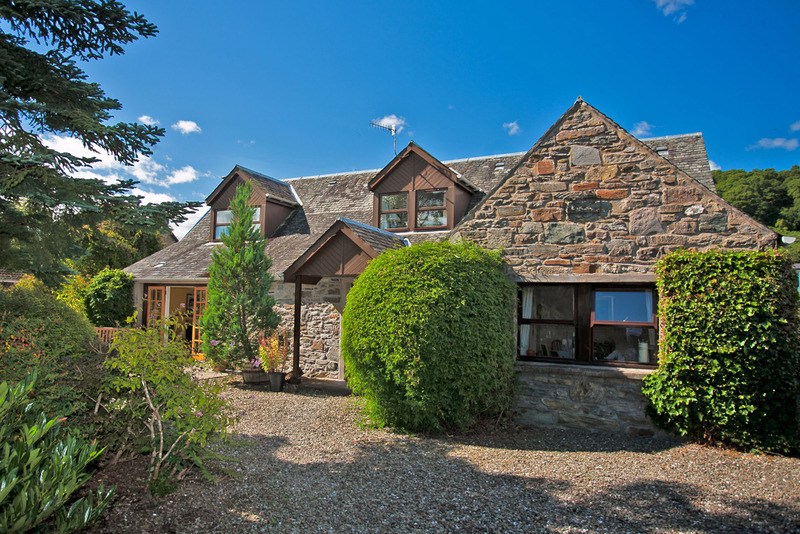 A short drive away there is horse riding and boat/ fishing rod hire available at the Loch Tay Highland Lodges, or visit the Highland Safaris and Deer Centre (voted “best visitor experience in Scotland”) in nearby Aberfeldy (home of J.K. Rowling, author of the Harry Potter books). Or tour the “Famous Grouse” Distillery in nearby Crieff. As Killin is located in the centre of Scotland, it makes a convenient central location for family day trips. Loch Lomond, the Trossachs and Glasgow (63 miles) to the South. Stirling Castle (40 miles) and Edinburgh (73 miles) to the East. Or drive via the stunning Glencoe Pass to Oban on the west coast (54 miles) or to Fort William (65 miles). From there you can take the famous Jacobite Steam Train to Mallaig. This journey is described as one of the great railway journeys of the world and features as the Hogwarts Express which carried Harry Potter off to school.